Moving to London is a dream for many people. London has some of the world’s best museums, a fantastic theatre district, stunning architecture, and yes- incredible food! But, sadly it is often credited as one of the world’s most expensive cities in which to live. When I first lived in London during my Florida State University Study Abroad Programme years, my parents financed my life. I was extremely lucky and lived on Great Russell Street next to the British Museum. It’s when I met my husband (Mr. Sunny) too. Our lives went different directions, and we reconnected in 2010. Deciding which one of us would leave our country was difficult. Family, money, culture and lifestyle were discussion points. We decided it would be me moving to London. A huge part of the conversations involved financial decisions. When I was invited to write a sponsored post on my experience of moving to London and expat tips to save money during the process, I immediately said ‘Yes!’ Americans, other expats and Londoners frequently ask me about my experience, so an advice post was a great idea! Any person living in London on a fiance or spouse visa could write pages on that experience. In summary, know all of the costs before even planning a wedding. Also, plan on the fees increasing and the unknown to happen. It sure did to me. I had the misfortune of sending my fiance visa application to the UK Embassy in New York City the day Hurricane Sandy took seige of the area. What was supposed to be a ‘two week process’ per our immigration attorney’s advice, was two and a half months of agony. The smart things I did prior to my plan for moving to London were not purchasing the airline ticket for the flight and arranging to stay with my parents while waiting. The not so smart things in my moving to London process: resigning from my very lucrative job and renting a flat in London prior to my visa’s approval. Once I did arrive to live in London on my fiance visa, I only stayed a few months. I had to return to the US because of my father’s illness. This stopped my ability to work, and my fiance visa expired. We were finally able to get married in November 2013 in the US and opted for a wedding ceremony with four guests to save money. We had to pay for the entire UK visa process again. This time we paid the additional priority process fee. It was perhaps one of the best investments we ever made because my visa was approved and returned in 10 days. No matter what type of visa for which you apply- pay priority! It will probably cut down on the ‘ride’ you have while waiting for your approval. Once we were finally married and I could begin job seeking, a whole new set of problems surfaced. Monthly prices on flat rentals had increased as much as 20%. We were forced to live even further away from Central London than the year before, and it had been 14 months since I worked fulltime. People warn you about how difficult it is to get a job in London. Listen to them and plan for it. Prior to moving to London, double the time/money you think you will need to job search. So plan accordingly to this and be savvy on things like bills. 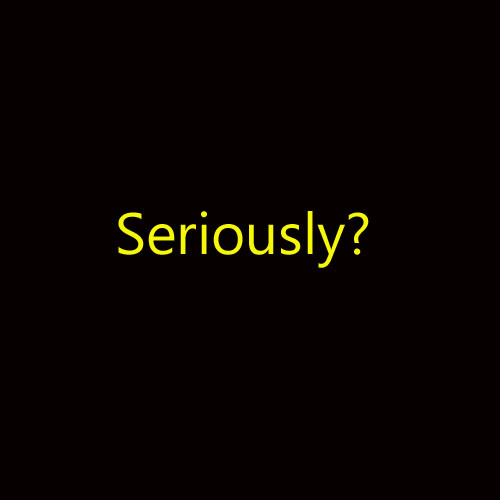 For example, if you are looking for the cheapest broadband you should try to use a comparison site like Simply Switch. Also, expect the currency exchange rate to fluctuate wildly. 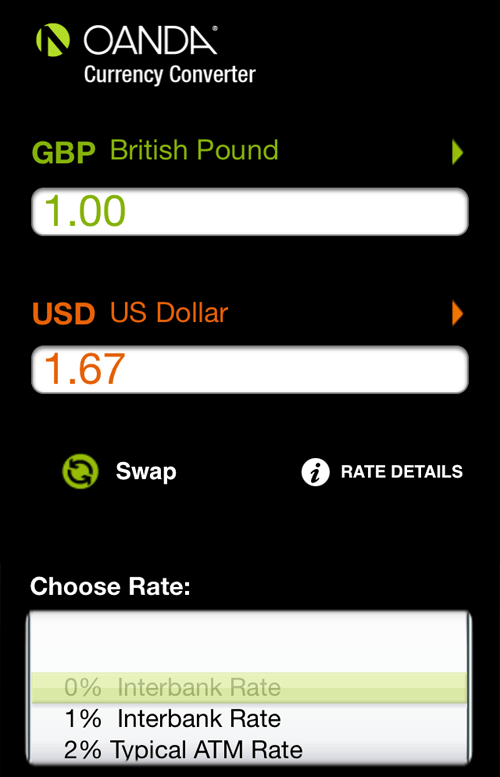 Since moving to London, I’ve seen the dollar equal anywhere from £1.49 to £1.71 in less than a year. If you are moving to London for a job transfer, you’re certainly one of the lucky ones. If not, be ready to accept a position for which you are drastically over qualified. This also means calculating your lifestyle on a budget lower than what you are accustom. My husband and I shop carefully but still treat ourselves to dining out as often as we can. The concept of coupons barely exists in London. However, grocery stores still have things ‘on offer’ regularly. Having discount cards on restaurants and pubs helps tremendously. Research these through your bank and online as soon as you can. Don’t mistakenly think you’ll save a lot by forgoing a car. Cabs in London are very expensive. Plan on using busses or the Underground as much as possible. I’ve written a separate advice post on that. But, buying an Oyster card and avoiding peak travel times are some of my top tips to save money on travel in London. 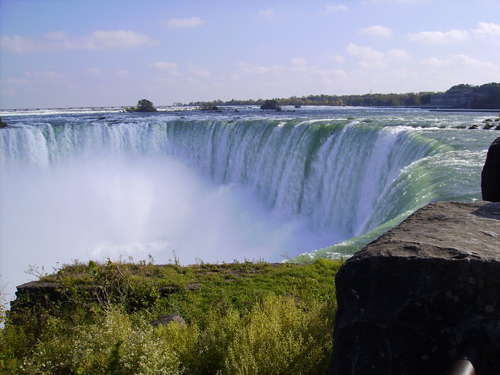 Since London is in such proximity of fantastic holiday destinations, you’ll have many travel temptations. Be advised a train is not always the cheapest alternative. In fact, many times it’s more expensive than flying. Don’t underestimate all the free museums and historic locations in and around London that you can visit also. Making money decisions is never easy or perfect. My husband and I know that once I get situated with a permanent job, our next step is to buy a home in London. For me this will be particularly intimidating because I will be a first time home buyer in the UK. Thankfully, like the US, it seems there are several types of mortgages available for people in my situation who are challenged with an expat move, job searching and the rising costs of property in London. Did you find a move to London challenging? What advice do you have to add either as a Londoner or expat? What can you add to my advice for the UK visa application process? 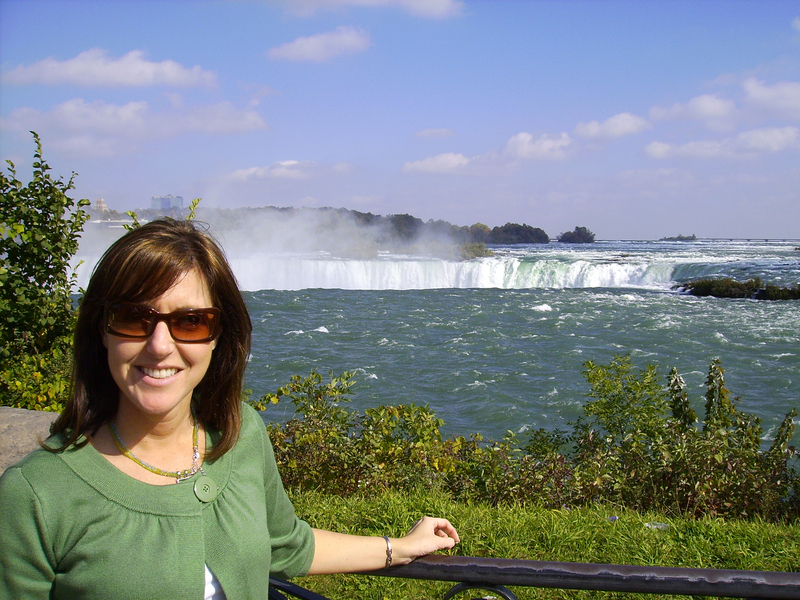 You can read more about the expat experience on the blog. Be sure to see the review of an international shipping company, which includes a discount for you. If you’re visiting London for the the first time (especially the NFL in London Games this Fall), read my ‘Guide to London for Americans Visiting the First Time!’ Or you can subscribe to Sunny in London emails. I’m happy to help Americans find their way here faster, so share this post or that one if you have friends travelling here soon. Do you dream of moving to London from America? Or maybe it’s the other way round! If so, there are many top national moving companies out there that can give you a helping hand when it comes to this big moment in you life. You never know what life can bring, so it is important to plan ahead. When a few of my friends decided to leave London for America, they decided to look into companies such as Bright Homes, as this way, doing their research into reliable companies meant that they would be in the best hands possible when it came to making such a massive change in their life. It worked out for the best and now they are all living their best lives. There’s a few life conveniences that you need to know that don’t exist on this side of the pond. 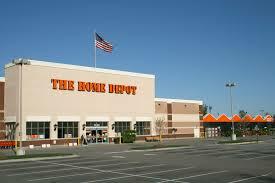 And they’re things that people living in the great all-American suburbs will really, really miss. Let’s get to the list, Sunny friends! 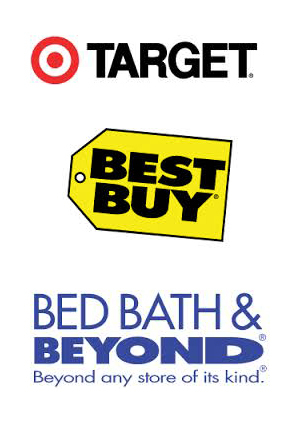 Think of how many times you rely on places like Target, The Home Depot, Best Buy, Office Depot and Bed, Bath and Beyond. Stores like that pretty much don’t exist in London. Yes, there’s department stores like John Lewis and Debenhams here. But, you aren’t going to find the vast selection of items at fairly reasonable prices like you can in America. The philosophy of “I’ll buy it when I get there’ might not work out the way you anticipate. With many items, it might be more feasible to ship them from the US to London. When you calculate the cost of a shipping container against what it will involve to buy new items here, you may be surprised to learn that you’re better off with shipping. A few items I wish I had shipped but didn’t are: an iron, a Dustbuster, and a dish drain/drying rack. Of course they have them here, but they’re either astronomically priced or the selection is extremely limited. With regard to electronics, you might not think it’s worth sending your American products due to the different electrical outlets in the UK. However, converters are fairly cheap and work really well. Most Londoners are shocked when I explain that drive-thru Starbucks not only exist but also are in abundance in suburban America. Brits are pretty fascinated with this phenomenon. It’s a great conversation topic, if you’re ever stuck in awkward British silence. You might think if you’re living in Central London you have no need for a car, much less a drive-thru anything. Point taken. However, some people living in Greater London own and use a vehicle. 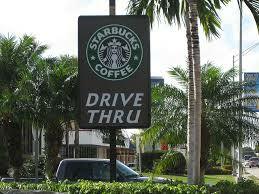 Drive-thru coffee locations are few and far between. There are two malls in London like the ones we know in the US. You may recognise the company who owns them both, Westfield. They are on opposite ends of the city, East and West. 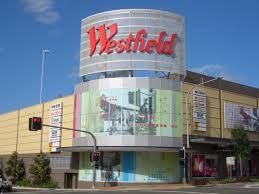 They are Westfield Stratford City (East) and Westfield London (West). So, let’s be clear- London does have malls. You’re ability to get to them can be a challenge not worth taking. In all the time that I’ve lived here, I have only been to each one once. As a North Londoner, the journeys are just too difficult for me. So, if you’re a girl who loves that weekly shopping trip with your friends to Sephora (Yeah, that’s not here either), Yankee Candle (Nope. In fact, I’ve written a separate post on that) and Ann Taylor (nada), forget it. I still haven’t quite adjusted to British television, so I find myself watching the E! network here if I do turn on the ‘telly.’ Episodes of ‘Fashion Police’ and ‘E! News’ are always out of date in London. Obviously it’s due to the time change. It affects me the most when it’s the big broadcasts that are important to me. 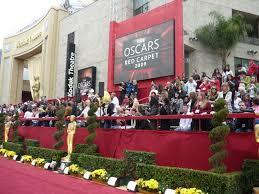 Do you have any idea what it’s like trying to watch the Super Bowl, Academy Awards or Grammy Awards at 1:00am? Neither do I. That’s because I’ve never been able to stay awake to see them. To be honest, I can’t even remember who played in the Super Bowl this year because no one here talked about it, much less watched it. And, as a Florida State University graduate, you guessed it… I’m sick about not seeing my team play football in the fall! If you’re in a girl in long distance relationship with a Brit, I have a tip for you. Back in the day when I was travelling to London to see Mr. Sunny before we got married, I took stacks of paper towels at JFK airport and put them in my carry-on when flying to London. 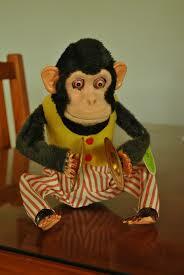 After an exhausting 7+ hour flight, I always liked to brush my teeth, wash my face and re-apply some make up before Mr. Sunny met me at Arrivals. There are no paper towels in the airport bathrooms. A supply for yourself makes the whole freshening up process faster. Oh, and once you move here, try to keep a stash of hand cream in your bag. 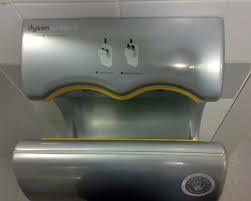 During the winter, the extensive use of those hand dryers can be brutal on your hands. So, there you have it! I’d love to hear from other US readers who either are moving to London from America, have done it, or are considering it. And, my international and British readers can certainly add some thoughts about their experiences too. Of course, if you shared this post on your social networks, I think we could help a ton of people considering the move as well. 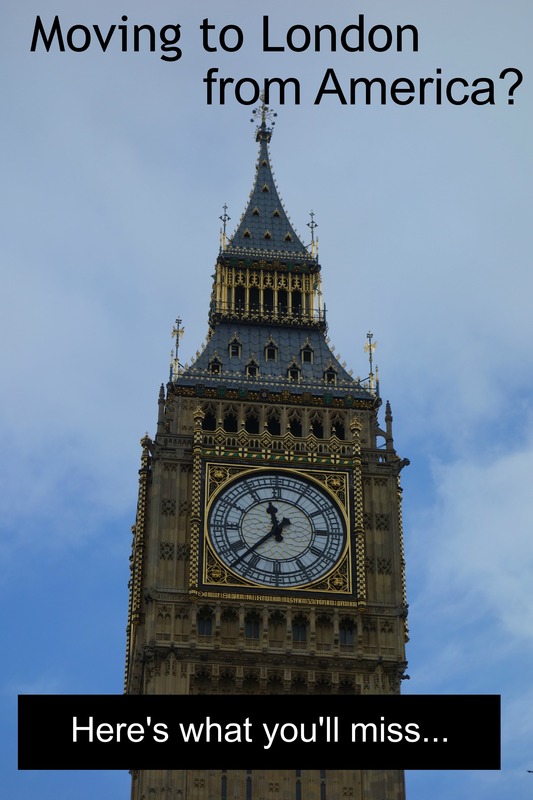 If you’re visiting London for the the first time (especially the NFL in London Games this Fall), check out my ‘Guide to London for Americans Visiting the First Time!’ Or you can subscribe to Sunny in London weekly emails. I’m happy to help Americans find their way here faster, so share this post or that one if you have friends travelling here soon. 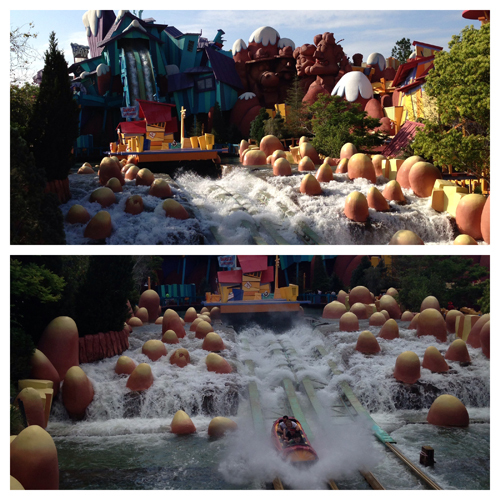 You can read more about the expat experience on the blog. Be sure to see the review of an international shipping company, which includes a discount for you. Below are my 10 Tips for Applying for a UK Visa (based on my experience and an interview I did with an immigration attorney after the Brexit vote). Also you’ll find the differences between US and UK schools. Yeah, right! Aside from all the pub crawls and champagne I write about, I’m keeping Sunny in London fairly G-rated. No nudey shots here! But, big props to the body confidence European ladies have. However, I don’t know if I’ll ever get used to the amount of flesh skipping around that room. 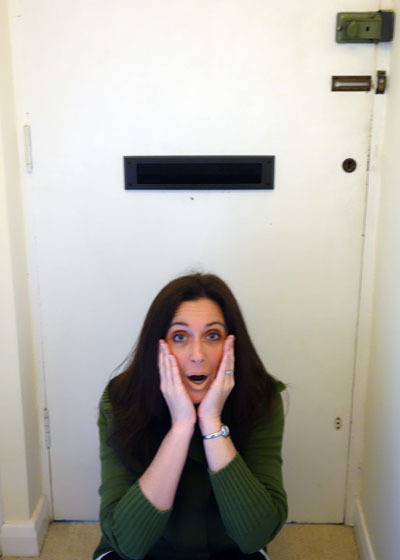 ADVICE #2- The MAILMAN is not breaking in to your flat. I have a mild heart attack every time my mail is delivered when I’m at home. In Florida, if someone comes up to your door step and starts messing about, you go in to lockdown mode and call 911. Therefore, when I hear the Royal Post Person shoving mail through that slot in my door, I always think I’m about to experience a home invasion. ADVICE #3- Look both ways before you cross the street. TWICE. It’s going to take a LONG, LONG time to figure out the roads. I’ve lived in London a few times, but I still can’t figure out where in tarnation cars are coming from. So, yeah, don’t even think about getting a driver’s license. It’ll be a year before you can cross a street and not be in sheer terror, much less operate a manual vehicle from the “other side.” Until then, stick with the good ol’ zebra crossings. 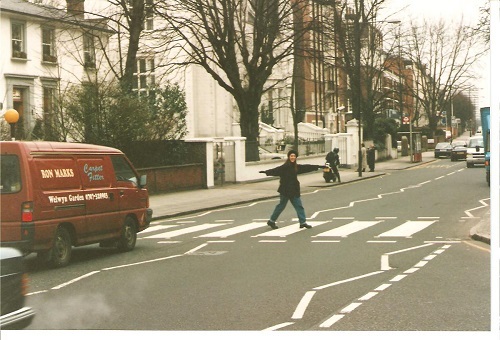 Here’s me crossing Abbey Road, circa 199…. 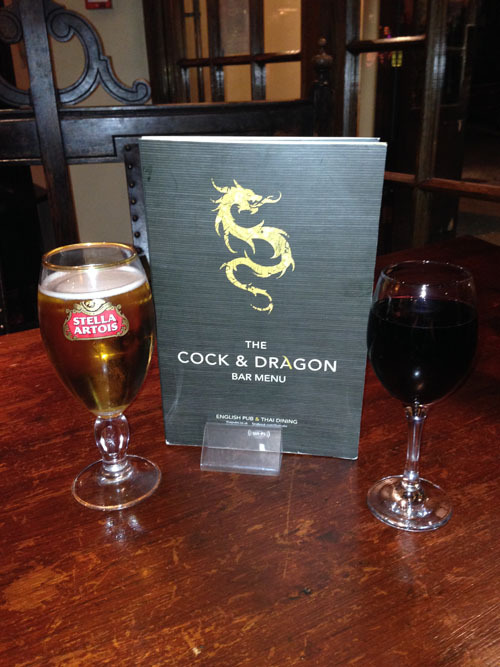 ADVICE #4- Order a drink and food right, or do the barmaid’s job. “Can I get a Pinot Noir?” Every time I say that, Mr. Sunny cringes. Notice that when Londoners are ordering, they say, “May I have a London Pride, please?” There’s no “get”, and the request ends with “please”. As easy as it sounds, it’s an unnerving habit that us American foreigners need to break. When we say “get”, Londoners think “Sure you can. Get up and go GET it yourself, Yankee.” Sheesh. ADVICE #5- The Rear of the Year sits at the bottom of the list. 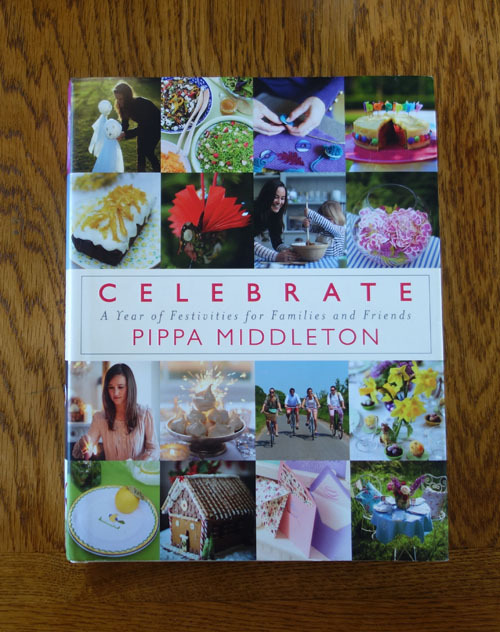 Most of us Americans discovered Pippa the day of the Royal Marriage. If you’re a celeb siting stalker like me, from that day forward you forgot Kim Kardashian and fixated on a new arse crush to motivate your workouts. The truth is, British people don’t favour her too much. So, my advice is to keep your American infatuation with her to yourself. Better yet, ring me up, and we can spend 8-10 hours at a place she frequents in the odd chance she’ll show up and want to friend us. Living in London can be both super fun and super challenging for expats. We miss the culture from our other city, but we love British culture too. 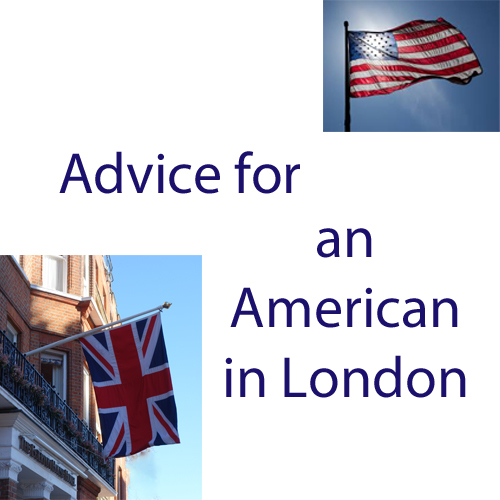 That’s my two pence worth of quirky advice for American Expats in London. I hope it helps you have the best of times. Please put your advice in the comment section below, Sunny friends. I’d love it if you shared this post somewhere. 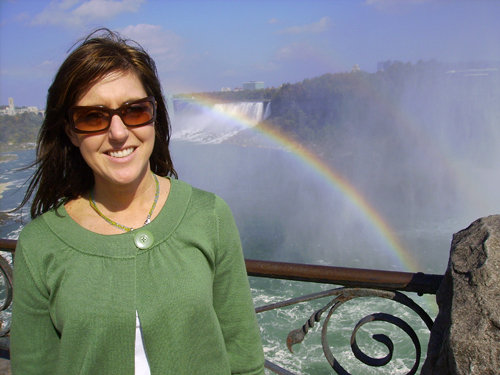 You can read more about the expat experience on the blog. Be sure to see the review of an international shipping company, which includes a 10% discount for you.